Monday - Saturday, 10 a.m. to 4 p.m.
Closed on Sundays during the winter. Saturday, April 20, 2019 at 5pm. Our way of saying thanks to our members and a great time for egg-finding fun and treats! There's still time to become a member, if you would like to come - and remember that we still have the special price of $40 for family memberships. no later than April 13, please. 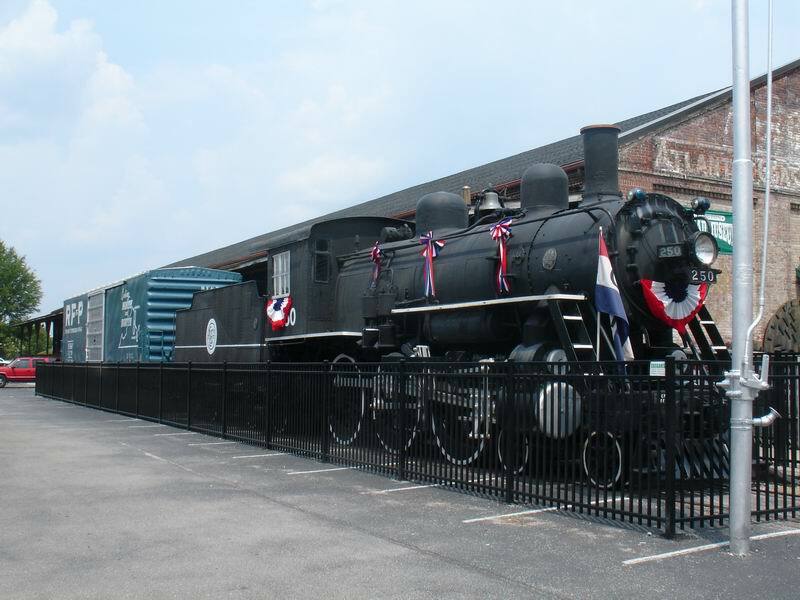 ​CELEBRATE Wilmington Railroad Museum's 40th Anniversary! Since 1979, WRRM has been providing exciting and educational experiences for our members, visitors and volunteers! Enjoy a fantastic opportunity to be part of our museum by purchasing a special membership only available during 2019. Our most popular Club Car membership is only $40 for the whole family (grandparents included!) to enjoy the museum for the year. Club Car memberships are typically $65. Membership provides free admission to all regular programs, Storytime, a fun Easter Egg Hunt, our Annual Meeting and discounts in our Gift Shop. We'll also be announcing some special 40th Anniversary Events throughout the year. OUR MISSION is to provide an educational and enjoyable experience concerning the history, technology, and impact of the rail industry with emphasis on the Atlantic Coast Line Railroad. The Wilmington Railroad Museum is a 501(c)3 non-profit organization dependent on the generosity of folks like you to allow us to preserve the railroading history of Wilmington, North Carolina and the Atlantic Coast Line Railroad. Your thoughtful donation will be gratefully acknowledged by our Director and his staff. Please go to the Membership Page for easy donation processing. The Sunshine Train will be riding again! 1st & 3rd Mondays - 10:30 a.m.
Click here to get driving directions! Fun and Educational for the Family! Looking for something new and exciting to do with your children? How about a visit to the Wilmington Railroad Museum? The Wilmington Railroad Museum has a great collection of displays that are fun and educational. A real life-size caboose, boxcar, and 100-year-old steam locomotive. Volunteers help out in all kinds of ways at the Museum. Opportunities can be found at the front desk, in the library, tour guides, research, holiday events, and certainly among the model layouts, which showcase tens of thousands of hours of craftsmanship. Call 763-2634 to explore some more. Find out here how to join in the ongoing mission of the Museum! Four UNCW Film Studies Students produced a short documentary featuring the Wilmington Railroad Museum. You can watch this work by clicking on the following link. This year make someone's special day lots of fun by celebrating a birthday at the Wilmington Railroad Museum. 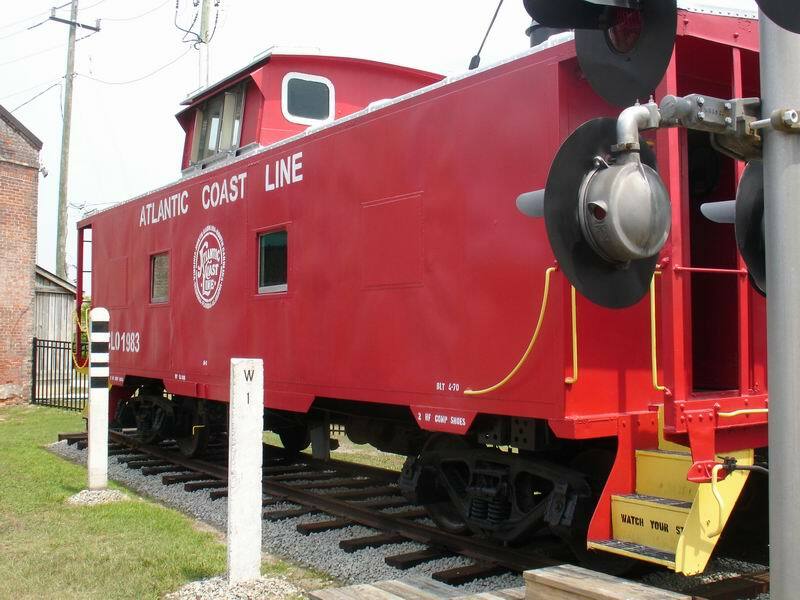 Your party package includes use of a real Atlantic Coast Line caboose for 1 1/2 hours, party favors for each child, a special surprise for the birthday child, and free admission to the Museum for up to 25 children and adults. Participants provide food and beverages. Available party times are Monday to Saturday from 10:30 am to 2:30 pm. For the first ten children and ten adults the price is only $150. Museum members receive a special discount price of only $90. Above the basic ten children or adults, an additional charge of $2 per person applies. RESERVATIONS ARE REQUIRED: Parties must be scheduled two weeks in advance by calling 910-763-2634. A $10 non-refundable deposit is required to confirm reservations. REMEMBER: Children must be accompanied at all times by an adult in all areas of the museum, inside or outside. Special guided group tours can be booked for groups of at least 10 persons. Learn about trades and occupations, rolling stock and motive power, interesting history facts, and notable features on the layouts. For groups up to 25 people a non-refundable deposit of $10 is required and at least ten working days notice. A 20% deposit is required for groups larger than 25 people. Group rates, with advance reservations, are generously discounted to only $3.50 per child between 2 and 12 years old plus tax. Adults are only $6.50 per person plus tax. Tours last about one hour. Contact us at 910-763-2634 for all the details and to reserve a time for your group. The Museum can be booked for after-hours socials, mixers, or meetings. Our staff will work with you to plan a unique and memorable event, surrounded by the authentic character of an 1883 building filled with artifacts and interactive exhibits. Nearly all areas are also accessible for those with disabilities, and parking is free! To reserve the Museum for a truly distinctive event, call (910) 763-2634. Our 'Memory Book' gives visitors an opportunity to log in with their own memories or connections to railroading The following are some comments we've received. Our 3-1/2 year old son is fascinated with trains. We had no idea of the magnitude of his excitement as we drove in and he saw the trains. What a wonderful and magical Museum this is. Hope you can continue to grow. This is a great Museum. We have been to museums in Sacramento CA, Scranton PA, and England and this one ranks well with them. Muy interesante y divertido. Felicidades! Esto es muy educacional. Great museum with so much history of the railroad. Wonderful to see people so friendly and interested in all aspects of the railroad. We will take these memories back to New Zealand. What a wonderful, fun, interesting history of trains. My daughter, grandchildren and I loved it. Thank you.